And I appreciate..........that the will of the people was accepted and implemented..
Just in case you don't see the note from the powers at SPARK PEOPLE... Here is the latest. THEY HAVE RESPONDED TO THE PLEA OF THE PEOPLE.. THE SHARE ON FACEBOOK has been deleted . . . .
A few days ago we launched a new feature where we added buttons to share member blogs to Facebook and Twitter, with the option to opt-out of having this on your blog posts. We received feedback from members that they were not comfortable with how we implemented this feature, so this morning we removed the feature and option from the site. 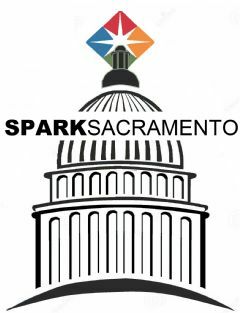 We definitely appreciate all the feedback and support our members provide to SparkPeople. If you've been a member for a while you've hopefully noticed we are constantly making enhancements and upgrades to the site to help everyone better reach their goals! Now you can choose to not even Show that 'share' bare on sparkpeople. But you know that you can google your NAME...and it will show your blogs (in most cases)...at least you can keep the info off facebook... Good news. Hope you are well and still ON TRACK. It is WORTH THE READ... be sure to scroll down and read some of the comments as well.